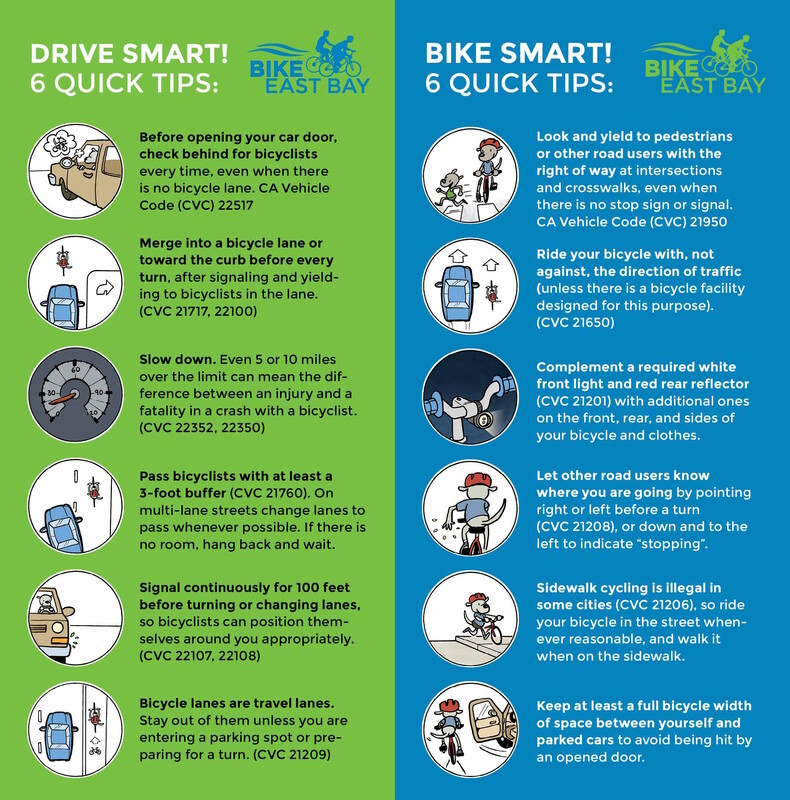 Are you new to bicycling, or are you an experienced rider but new to the East Bay? Even the most confident and skilled bicyclists can face a steep learning curve when riding in a new environment, but we’ve got you covered with a host of different resources to help you enjoy the beautiful East Bay on two wheels in no time! Check out this great video from Seattle on urban bicycling basics, and then follow the links below for more local information about biking in the East Bay! If you are not yet a member of Bike East Bay, please consider joining. Our members and volunteers get a lot of great perks (shop discounts, newsletters, member parties, etc), but more importantly they make it possible for us to work all over Alameda and Contra Costa Counties (33+ cities! ), creating safer and more enjoyable bicycling for everyone! Have more questions? Contact us or attend a free class and let us know!